POS9002 is the 2017 flagship TV from TP Vision who sells TVs under the Philips brand in Europe. 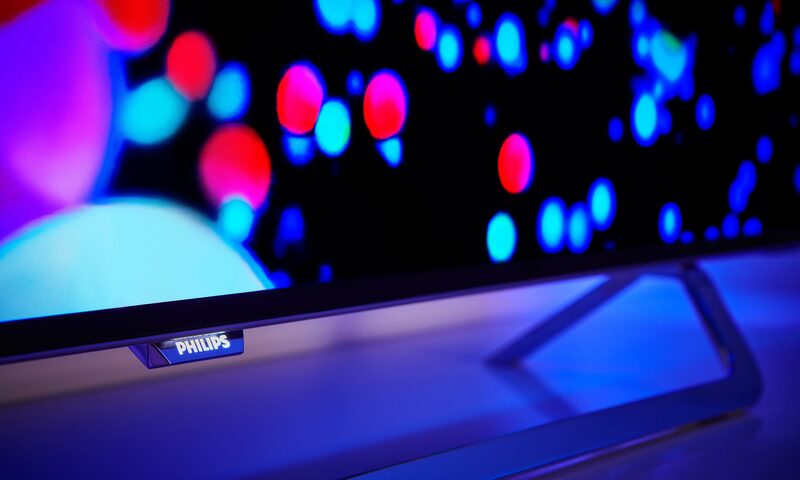 It builds on the foundation that last year’s POS901 – the first Philips OLED TV – laid, meaning 4K resolution, HDR, Ambilight, and Android TV. And best of all, a significantly lower price. 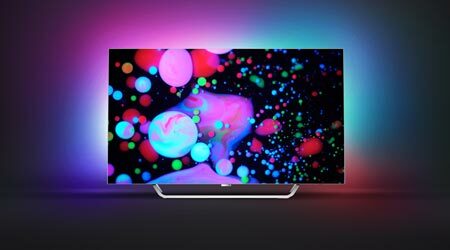 Philips POS9002 is one of the most affordable 2017 OLED TVs but how does it compare to LG and others? We intend to find out in our in-depth review. POS9002 is available in Europe only. The 65" model is called OLED873 but it is the exact same TV. 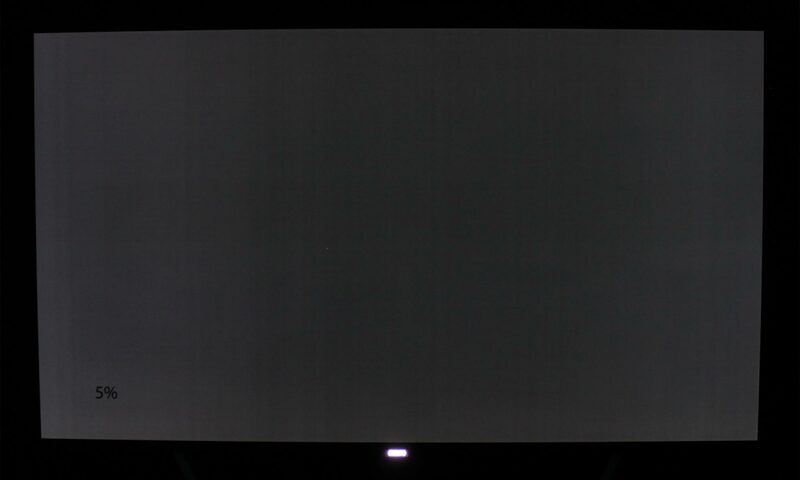 Once turned on, it becomes immediately clear that this is a Philips TV. 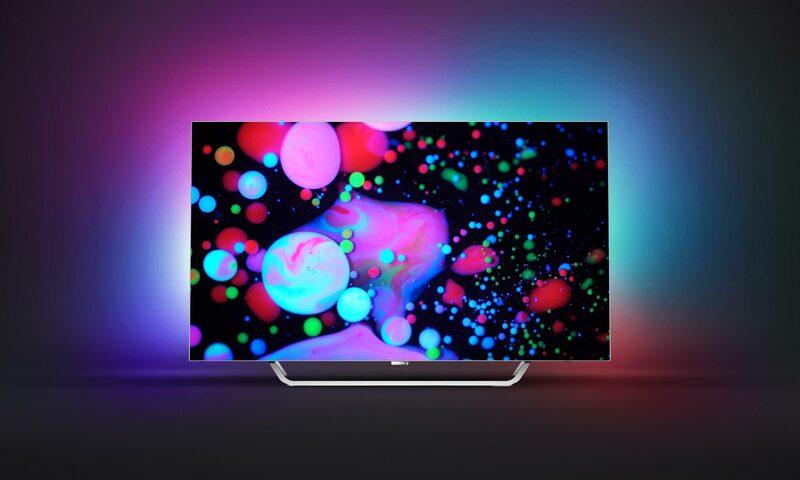 While the frame, bezel and overall design makes the TV look uncharacteristic, Ambilight – the mood lighting system – sets it apart from the pack. 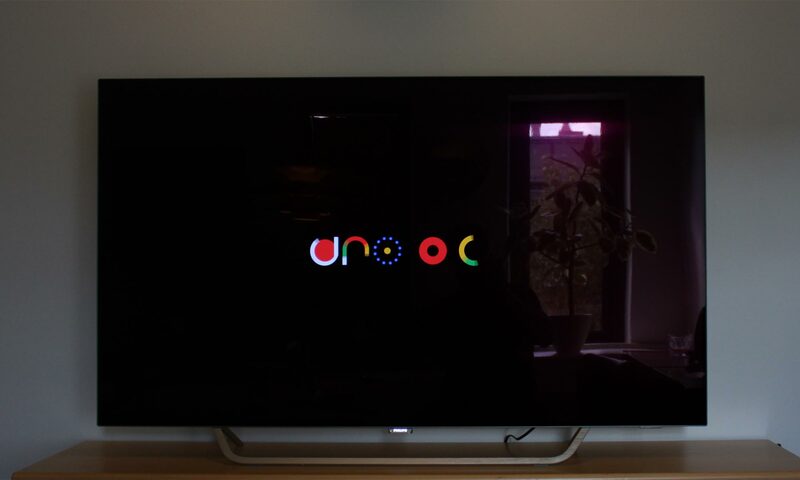 The idea here has obviously been to make the TV looks as light and minimalistic as possible so the awkward logo underneath is a shame. 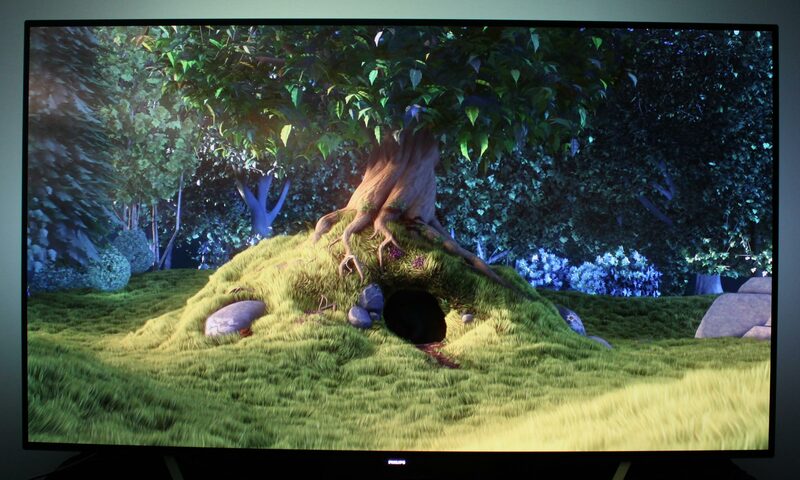 The final touch would have been to remove the logo entirely and let Ambilight tell the story that this is a Philips TV. It would take courage but we think that it would pay off. 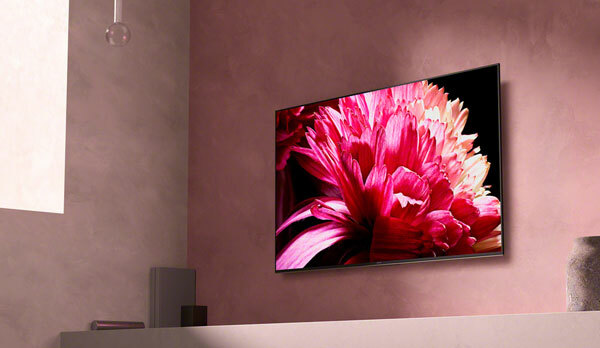 Like all other OLED TVs on the market, POS9002 is based on the only OLED TV panel available in the marketplace; the panel from LG.Display. Still, there is remarkable differentiation between TVs based on the panel, ranging from the spectacular Sony A1 to the incredibly thin and extraordinary LG W7 ”wallpaper” model. POS9002 is instead simpler and more minimalistic take on it. In many ways POS9002 looks like a slightly less premium version of last year’s POS901, which is also reflected in the price. The soundbar has been removed. The back is now made from matte, black plastic. 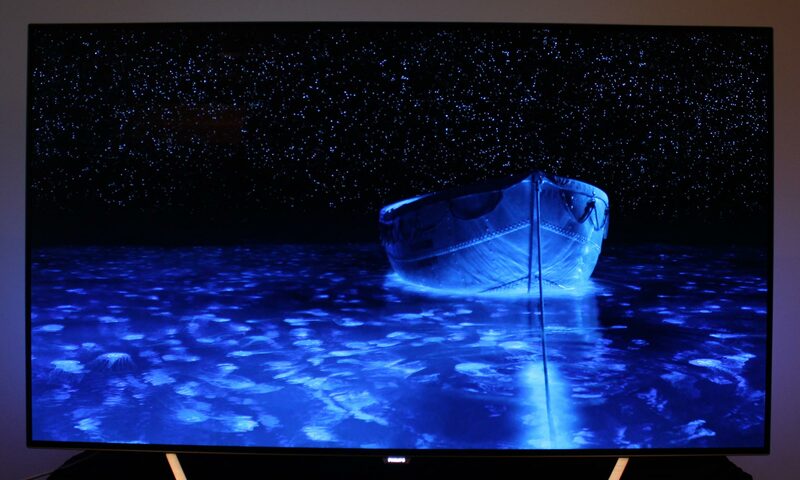 Buyers must still endure the “bump” on the back that in many ways defines OLED TVs today. The upper part of the panel is extremely thin but the lower part ruins the streamlined look. On the other hand Philips has made sure that the video ports face either to the side or down. This is how it is supposed to be. We were contacted by a few owners who noted that their POS9002 panel was actually very slightly curved. 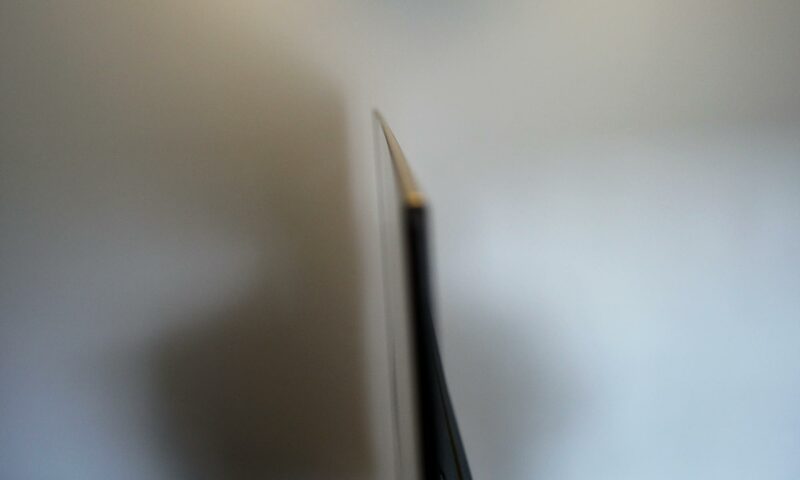 Of course, POS9002 is based on the flat OLED panel but when examining it closely we found that our sample had the same slight curvature to it (see photo above). Most people would probably never notice – we didn’t at first – but we wonder if it relates to variation in production or transport damage. 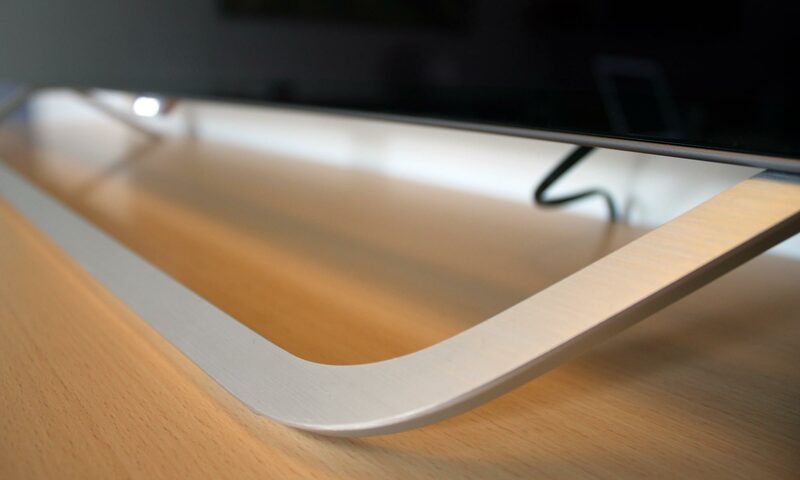 Like all other OLED TVs, Philips POS9002 has a glossy surface. It ensures that colors remain rich and that contrast remains high even in very bright environments but it also reflects bright lamps and objects from the room. OLED TVs are, by now, bright enough to annul these reflections so we would not hesitate to use it in a very brightly lit living environment. Since last year’s POS901 OLED, Philips has bumped up the MediaTek SoC inside from the MT5890 to the newer MT5891. However, it is a very modest hardware upgrade and since the Android operating system still runs version 6.0 on POS9002 (7.0 update coming later), there are no significant changes to report. We will therefore not go over everything again but instead refer to our Philips POS901 review for more details. 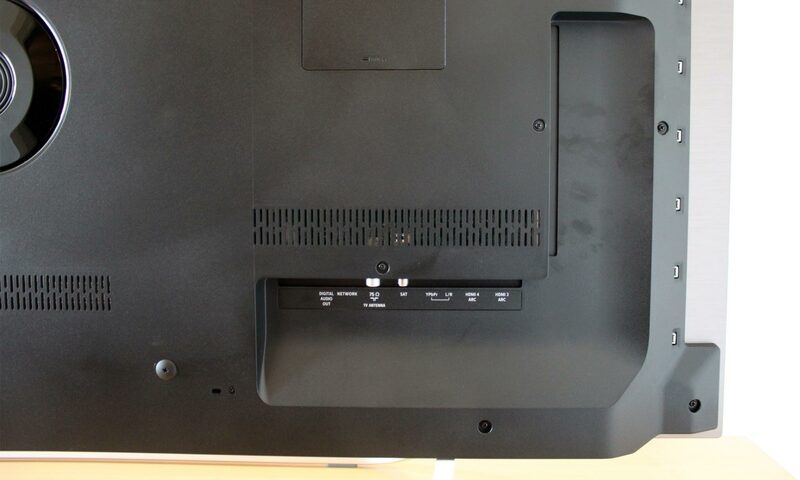 One thing that we want to add is that POS9002 has only 1 CI port for the built-in TV tuners (POS901 had 2). On the other hand Philips has finally fixed its lacking video file support. POS9002 now plays most video clips we throw at it, including HLG, VP9, and more uncommon file types. YouTube HDR still does not work, though. This appears to be a Google-caused software issue. The twin-tuners and soundbar have also been removed. The speakers are not in any way comparable to last year’s POS901, which actually delivered decent sound. Instead, POS9002 delivers average performance with weak bass. The speakers are good enough for casual viewing but you should consider adding a soundbar or external speakers to the setup. The good thing, of course, is that you now have the choice. Last year’s POS901 made it aesthetically impossible to add a more powerful soundbar underneath the built-in version. There is not much we can add to the subject of Ambilight either since POS9002 has the standard 3-sided Ambilight configuration. Over the last few years, Philips had added several new features to the mood lighting system, including Hue integration, a game mode, more user controls, Spotify music integration, and more. 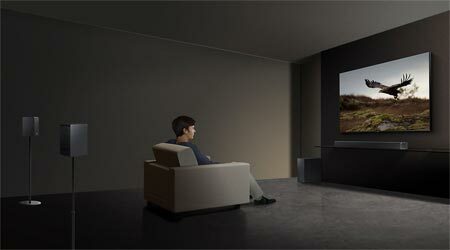 We have examined all of this in detail in previous Philips TV reviews. The company will launch a smartphone app for Ambilight later this year but it is not yet available. It came as no surprise that the default picture settings were bad, to put it politely. TVs are sold in stores where manufacturers must compete for shoppers’ attention. The default mode has a far too high color temperature, making everything look cold and bluish. Video content is also negligently pushed into the DCI-P3 color gamut, which means that colors become wildly inaccurate. 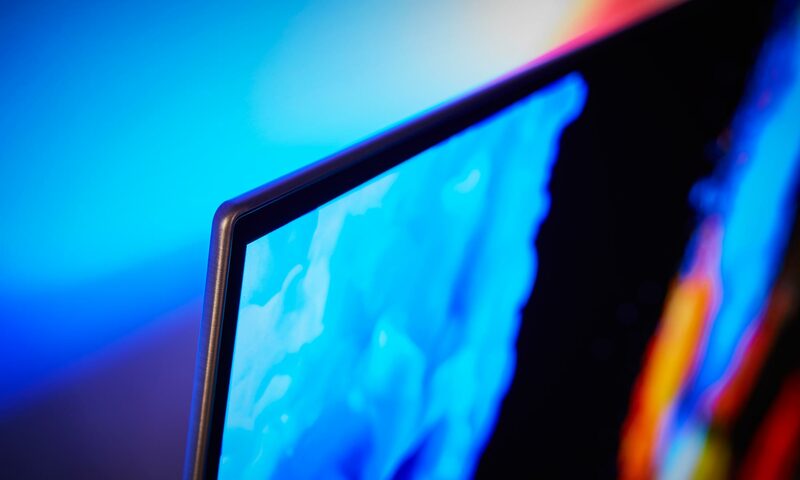 In fact, most of the color modes on POS9002 do that, and we are still baffled as to why TV manufacturers refuse to let their TVs reproduce the picture in accordance to the source material. Not only is it disrespectful to the artistic process, all of these picture “enhancements” actually make a digital video source look worse. So we quickly switched to one of ISF modes, which is markedly better but not as color accurate as last year’s POS901. With a few adjustments, we managed to improve things a little further. Not spot-on, but good enough. Philips POS9002 does not offer 10-point calibration settings, which would be required to make the final adjustments (notice the issue around IRE 10-40 for ISF Night below), but we accept the result as good enough. During our calibration, we also deactivated most of Philips’ dynamic picture systems that do more harm than good. It is perhaps worth pointing out that there are two ISF color modes, one for daytime viewing and one for nighttime viewing. The only significant difference is the level of light output so you can easily switch between the two, if you prefer to steer clear of the not-optimal light sensor. In our "measurements" section we include all measurements and our suggested calibration settings. If you want to learn more about our test methodology click here. Note: We only offer calibration settings for SDR, not yet HDR. For our calibration we have not used the ambient light sensor that automatically adjusts the backlight setting according to your environment. You may prefer to enable it if you watch TV during both day and night. 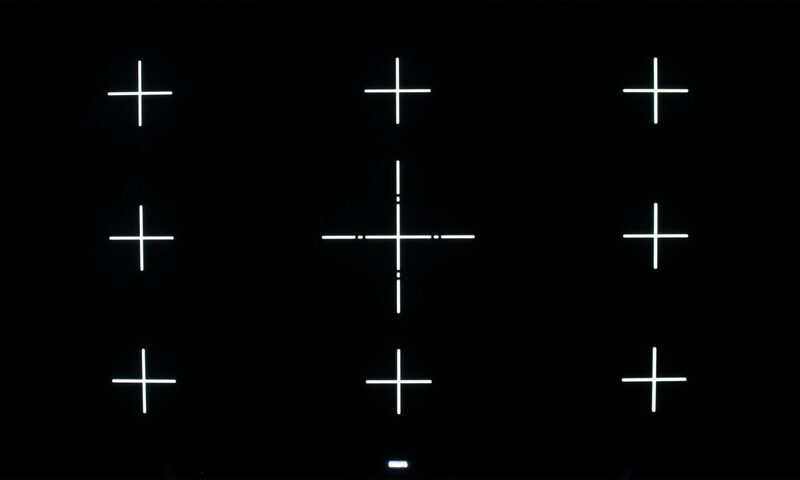 As discussed in the calibration section, POS9002 – like most modern TVs with wide color gamut panels from almost any brand – force all material into the DCI-P3 color space, even when the content is created in Rec.709. While this should be frowned upon as very bad practice, TV manufacturers appear to have embraced it fully in the quest to attract the most attention in the showroom. But what about when the TV is installed at home? Unless you pick one of the two ISF color modes, POS9002 will in almost every instance reproduce these wildly inaccurate colors. I do not want to go on another rant here so just a word of caution. Let the first thing you do when you set up your POS9002 be to switch to one of the two ISF modes. With that out of the way, you can sit back and enjoy the incredibly good picture quality. POS9002 builds on all of the development that LG.Display has put into OLED TV panels and we have reached a point where OLED outperforms LCD on almost every single parameter. 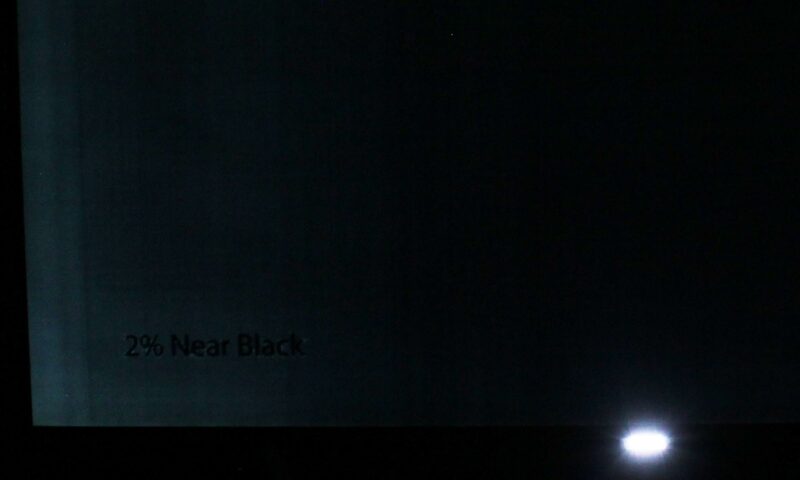 The secret is of course the self-illuminating pixel nature of OLED coupled with the ability to reproduce true black. It makes SDR look fantastic and elevates HDR in a way that not even the best FALD LCD TVs can match. 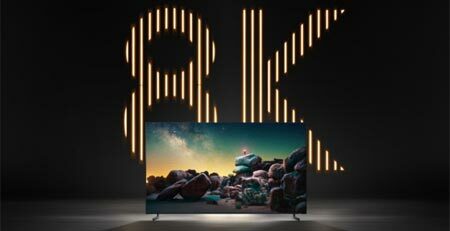 We have discussed all of this in detail in previous reviews and we could do it again here but let us instead try to discuss how POS9002 compares to other OLED TVs on the market. First of all, there has been some debate around whether POS9002 is based on a 2016 or 2017 OLED panel but unless there is a secret stash of 2016 OLED panels lying somewhere in China, it unlikely to be based on the previous panel because LG.Display has switched its production entirely to the new generation. It may be that some have been tricked by Philips’ HDR tone-mapping that actually reduces peak brightness to 2016-level to preserve highlight detail but this can be adjusted manually in the advanced picture menu. 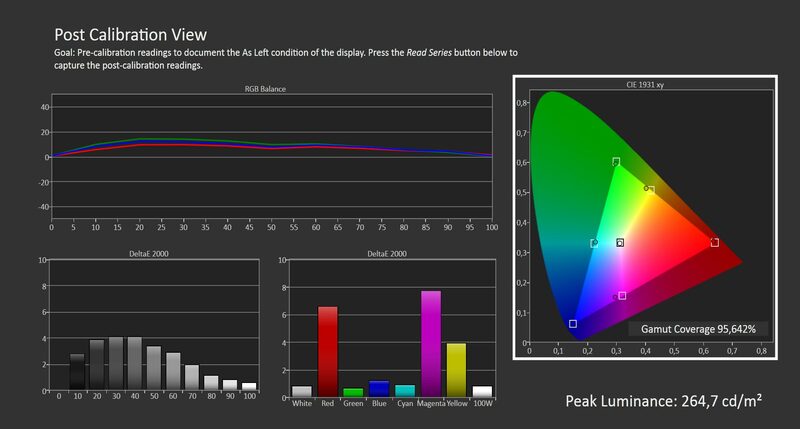 There are two menu settings (HDR Perfect and HDR Contrast mode) that can be changed to bring HDR peak brightness up to 725 nits, which is 2017 territory. 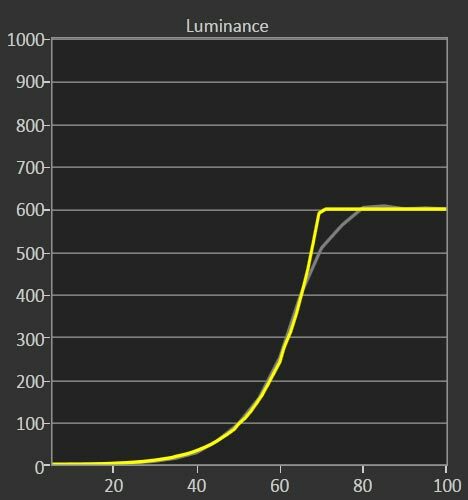 In the graph to the right you see the luminance ramp-up with these options set to default values. This gives you peak brightness slightly above 600 nits. With other settings you can hit 725 nits. How each manufacturer implements tone-mapping for HDR varies and depend mostly on whether they prefer to maintain the highest possible peak brightness or prefer to maintain details in highlights. 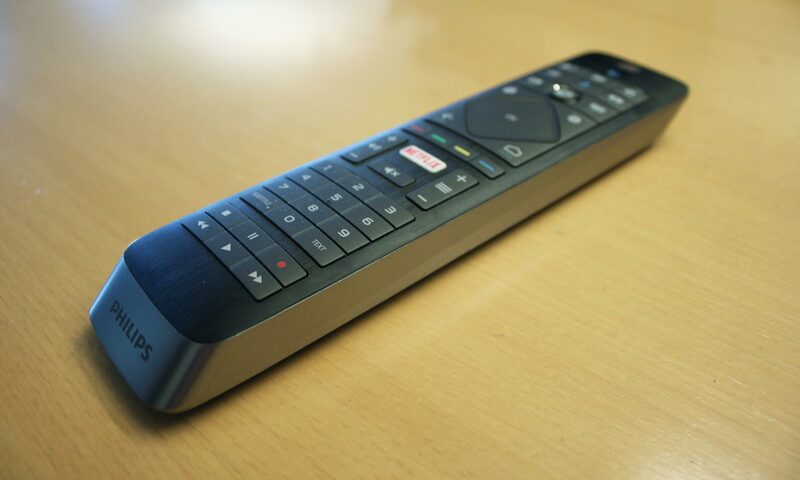 It is not yet possible to get both unless content is available in a HDR format that employs dynamic metadata – which, unfortunately, Philips has yet to do. TP Vision, the company that is responsible for Philips TV in Europe, has yet to commit to either Dolby Vision or HDR10+, which puts POS9002 a few points behind some other OLED TVs in the HDR category. That is not to say that HDR doesn’t look impressive. It is very impressive. Just try to watch some of the night scenes from Life of Pi or any other movie scene with high inter-scene contrast. These will immediately convince you. But there is still room for improvement in peak brightness, color gamut coverage (currently 95% DCI-P3 / 68% Rec.2020), and detail preservation in highlights. This is true for all TV displays today. The most significant difference on the picture side compared to last year’s Philips POS901 is probably the addition of the P5 video processor. Philips sells it as a more powerful picture chip that can enhance the picture on more parameters. Discussing the advantages is largely determined based on whether you are in the camp that believes that video reproduction needs to be enhanced or in the camp that believe that video reproduction should be true to the source. No matter your preference, the truth is that P5 is most effective with low-quality video content. For high-quality content such as 4K and HDR, the source quality is so good that every “enhancement” applied will degrade the picture. As such, POS9002’s main advantage over for example LG OLED is motion reproduction, which was also true for last year’s Philips POS901 without the P5. We recommend that you deactivate ‘Natural Motion’ (frame interpolation) but set ‘Clear Motion’ (blur reduction) to one of the low settings. New with P5 is the ability to actually adjust Clear Motion. This setting can slightly reduce the inherent motion blur in the content (due to the low frame rate that video is still shot in), making motion appear slightly clearer without introducing the soap opera effect or motion artefacts. Everything from sports to games looks good on POS9002. Speaking of gaming, we measured input lag to 38.8 ms in the Game mode, which is a noticeably improvement over 59 ms on last year’s POS901. This is also the result of a more streamlined video processing flow in the P5 processor, and it puts POS9002 in the middle of the field. It cannot match the 21 ms input lag of LG’s 2017 OLEDs but unless you are a very discerning gamer the 18 ms difference is unlikely to mean much. The important thing is that Philips is now below 40 ms, which for most people is acceptable for console gaming. And just to iterate; HDR gaming on OLED looks stupidly good. In terms of HD and SD sources, it is hard to say much besides what was said in our review of the predecessor. Even low-quality sources look decent on POS9002 and it handles de-interlacing well. 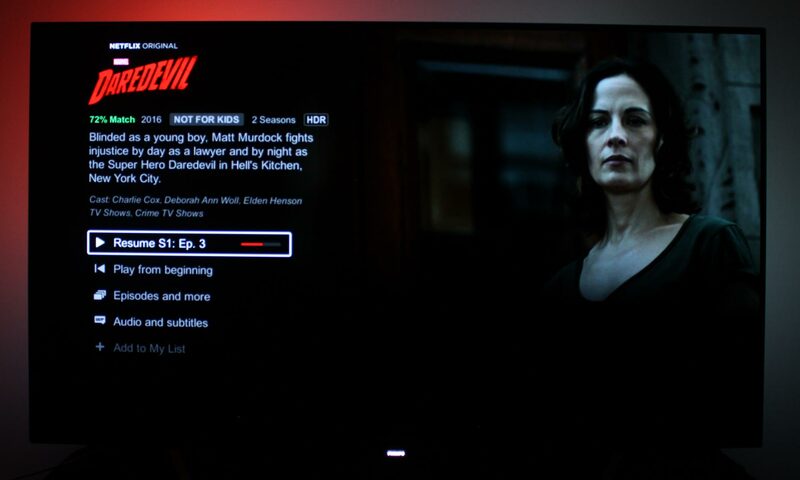 It should be emphasized that if you want to unlock the potential of the TV you need to feed it with high-quality sources such as UHD Blu-ray or 4K HDR streaming from providers such as Netflix and Amazon (no app available on the TV). 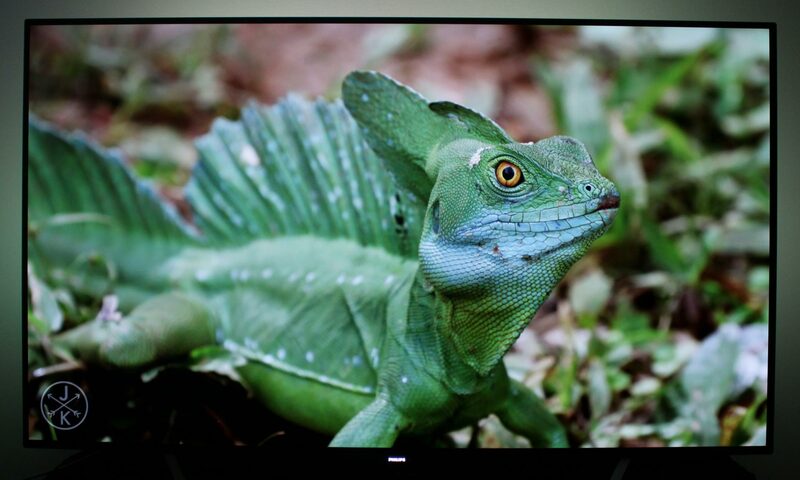 During the review, we also had a sample of the 65” LG B7 OLED so we had a chance to do side-by-side testing. 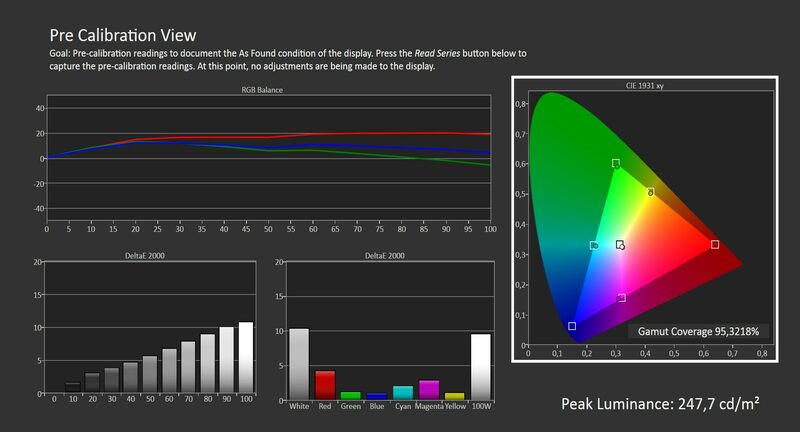 One thing that we found is that Philips employs a more aggressive ABL (Average Brightness Limiter) than LG, which means that it will dim very bright scenes more and faster (percentage of bright elements in the scene). Still, Philips POS9002 is perfectly fit for even very bright living room environments. When we examined grey tone uniformity, we found that POS9002 to some degree still suffers from some banding and uniformity issues in the darkest grey tones, including 5% grey. Last year, we complained that Philips OLED had some strange artefacts around for example text on the darkest grey tones. The company has managed to reduce the issue significantly but there are still some strange white dots around the text, as evidenced by the long-exposure shot in the table below. Again, the photos below have very high exposure time. Please do not freak out. These are meant to illustrate that uniformity is not perfect yet but it does not look this bad in practice. 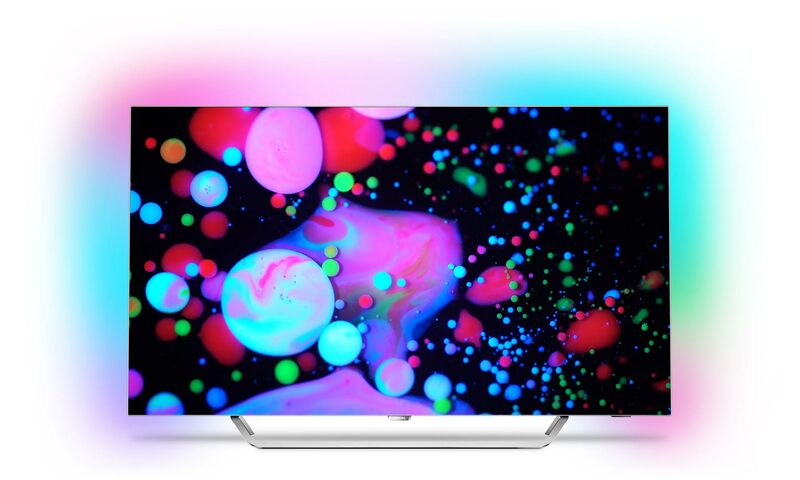 Philips abandoned 3D a few years ago and even if it wanted to return, it would be impossible as long as it sources OLED TV panels from LG.Display, which is no longer adding the polarizer filter to the panel. So, no 3D in POS9002. We did not encounter retention or burn-in on the TV but we have heard from owners who have encountered temporary retention on their POS9002. It is completely gone the next day but we want to emphasize that it can happen and Philips even highlights the fact in the picture menu. 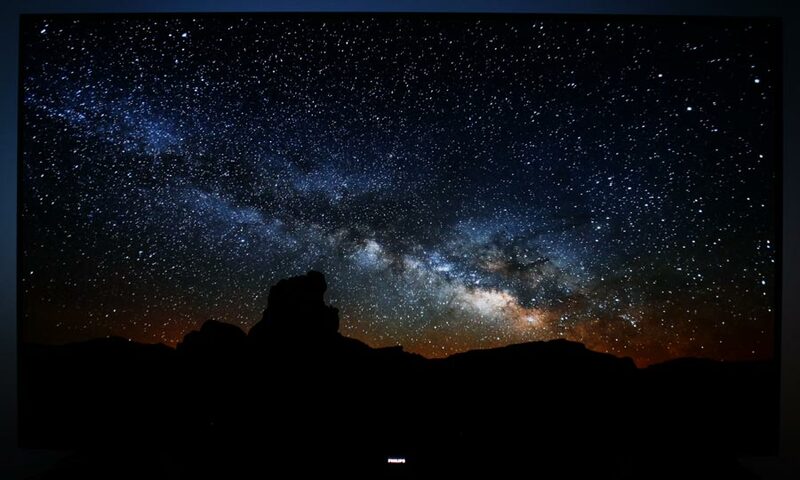 There is no need to freak out if you see it – it is by no means comparable to the plasma days – because the panel is designed to “reset” – or wipe – when off, so it will disappear overnight. It also takes some effort. You can easily game for 6-8 hours straight on your game console without concern. There is no longer any point to discussing viewing angles on OLED TV. Some of the early generations of OLED exhibited a faint tint from angles but it has effectively been eliminated on the latest generation. There is absolutely no change to contrast even from the widest viewing angles and no noteworthy change to colors. Compared to the edge LED VA-type LCD TV that we had standing next to the Philips OLED throughout the review the difference is night and day. 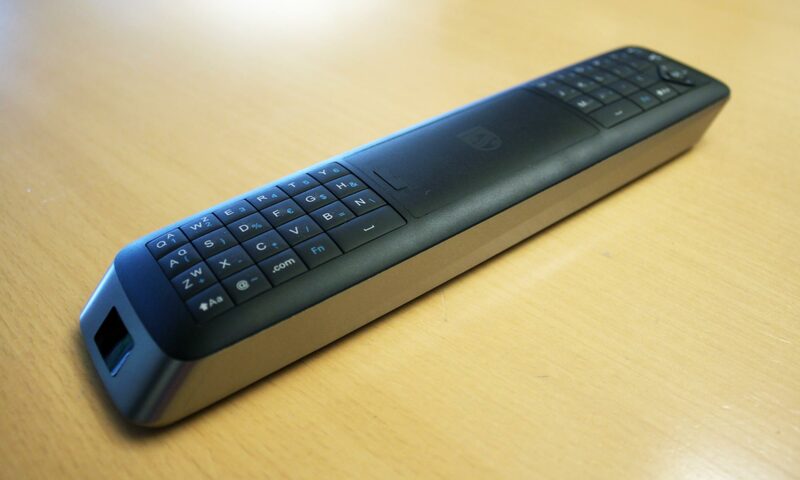 Philips POS9002 has an upgraded MediaTek chip to power Android TV but unfortunately the user interface still feels unnecessarily sluggish by today’s standards. More apps are added weekly but the catalog is still not as inspiring as Apple’s tvOS or even some other Smart TV platforms. 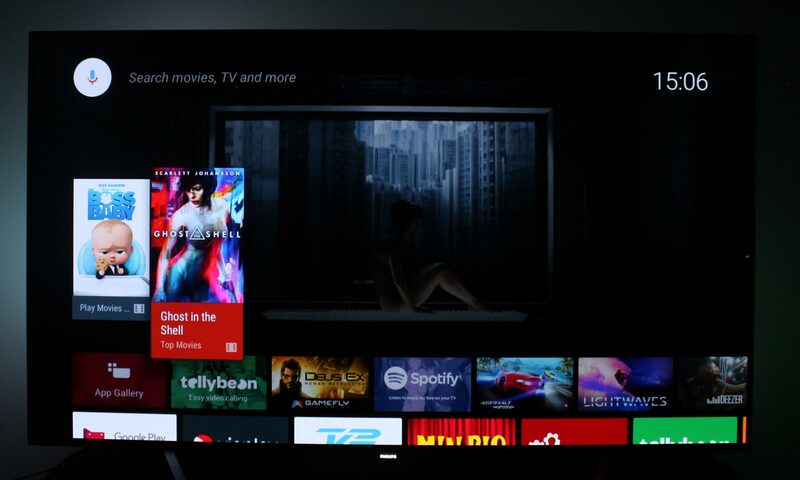 Philips TVs are also still stuck on version 6.0, despite the fact that version 8.0 has been released. In other words, Android TV is still hard to love. The best part is built-in Chromecast but this implementation is also lacking (locked to 60Hz – missing 4K HDR support). 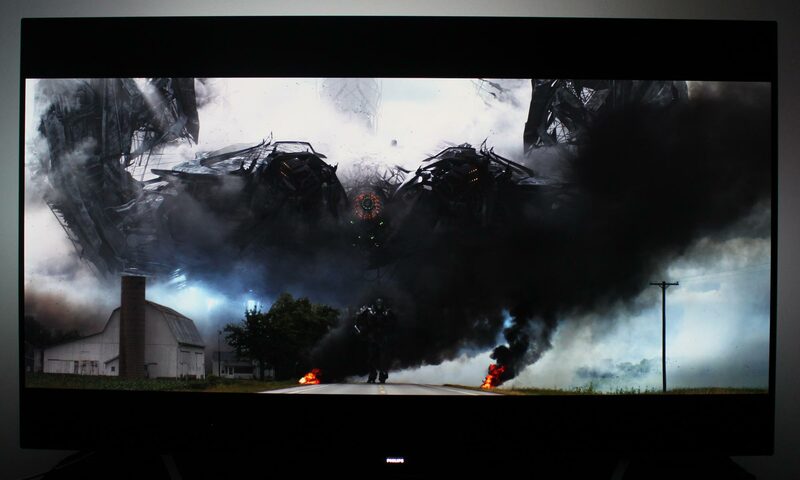 If you can ignore that – or is planning to connect a media player anyways – you are rewarded with stunning, beautiful picture quality (provided that you use the ISF color modes). The new P5 chip reduces input lag and expands on the great motion performance that we saw in last year’s Philips OLED. 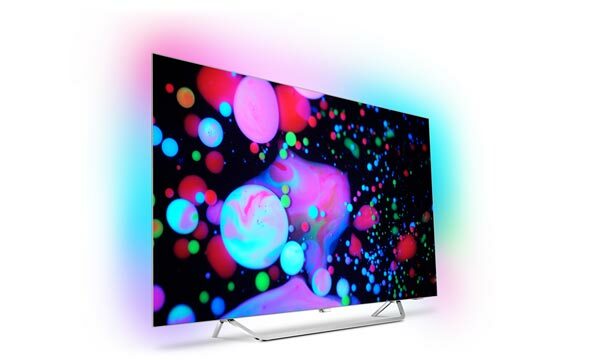 The TV handles SD, HD, and 4K without issue, and HDR continues to be an area where OLED outperforms even the most expensive LCD TVs, especially the edge-lit “QLED” LCDs. We cannot emphasize this enough. If you want the best HDR you should pick OLED. 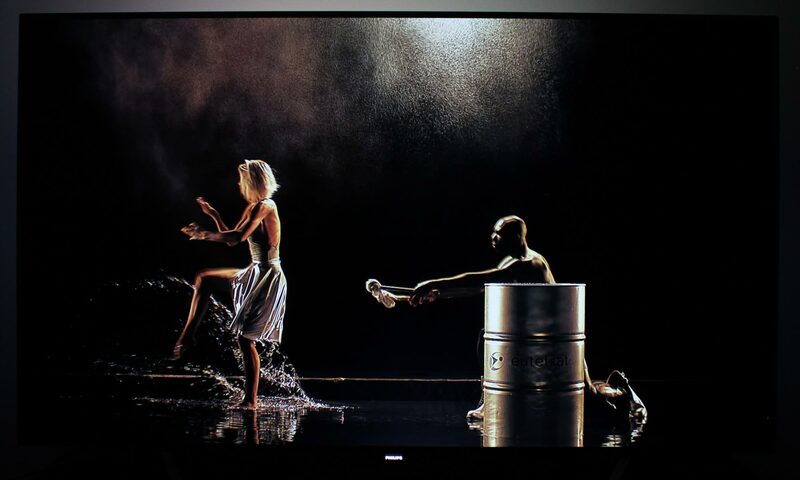 There is, of course, still plenty of potential to unlock in the HDR format and specifically for TP Vision (Philips TV in Europe) the company has yet to commit to any premium HDR formats (Dolby Vision, HDR10+), which is a little disappointing. But regardless, HDR with perfect blacks and pixel-level luminance control looks extremely good. 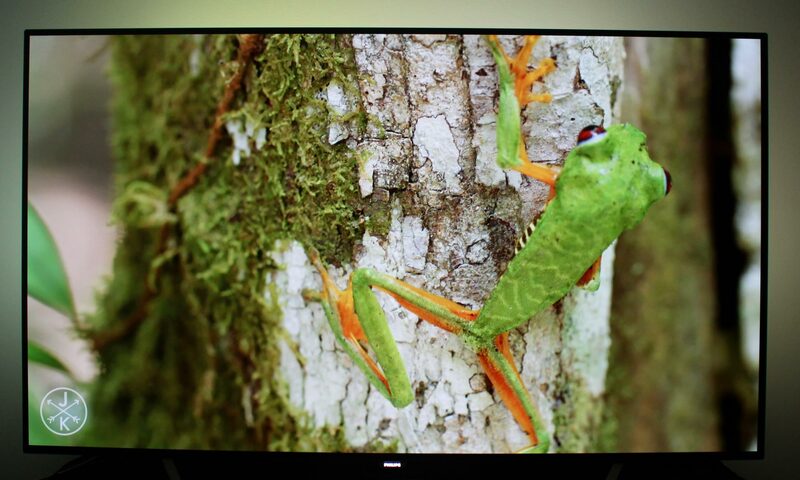 The picture improvements over Philips’ first OLED TV are subtle but they are there. Peak brightness is higher, tone-mapping preserves more highlight detail, dark tones a little better, and there are more gradual motion settings. On the other hand you will have to give up the twin-tuners and soundbar. The speakers are not nearly as powerful in POS9002 as in last year’s model. The company has also compromised somewhat on build quality to reach the lower price point. The 65" model is called OLED873 but it is the exact same TV. Picture quality is assessed as overall picture quality, including color reproduction, image processing, contrast, motion etc. Features is an evaluation of the built-in functionality such as apps, connector ports, tuners, recording capabilities, decoder formats, and how useful they are, as well as sound quality. Total score is weighted: 50% Picture quality, 25% Features, 25% User experience. All scores are calculated based on a moving maximum target, defined by what we currently consider the best on market. It is then presented as a percentage. This means that a score will fall over time as new and better TVs set new standards. This allows you to compare scores across years. A score of 100% in a given category means that it is consider the best available product in this category to date. Click for a more detailed explanation of the score system and our Awards.